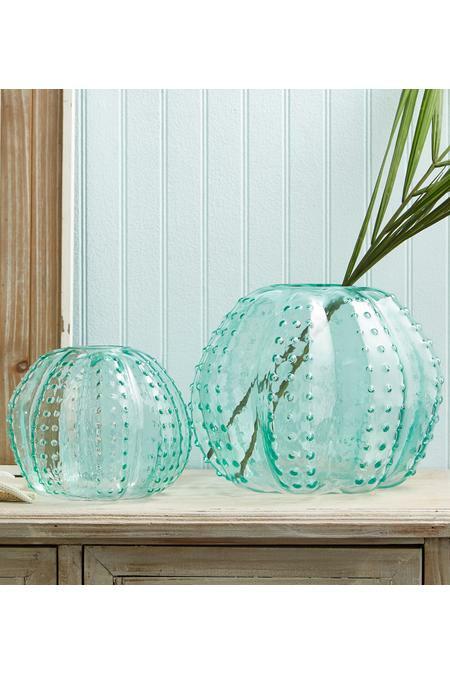 These sea urchin glass vases curate a coastal vibe. Fill them with water, twinkling lights, candles or even sea grass. It's fun to see the beachy personality they bring to any space. Medium: 5-1/4"h x 6-1/2" dia. Large: 7"h x 9-1/4" dia.